Hi again! Well I’m back with another new beer, this time from Brew Dog breweries, the famous craft brewer that comes to us from Fraserburgh, Scotland. Already I have tried their 5 A.M. Saint and felt it was one of the best Amber’s I have ever had. And as you can see, they have quite a lineup. Personally, I’ve never been too big of a fan of the type of coarse blonde ales Belgium has been known to produce. And yet, I found I enjoyed this one quite thoroughly. I’ll also have to be sure to pick up some more 5 AM because that baby deserves a stellar review too. Well, finding it won’t be hard since I now know of two places that it likes to hang out. Something to do this week I guess! 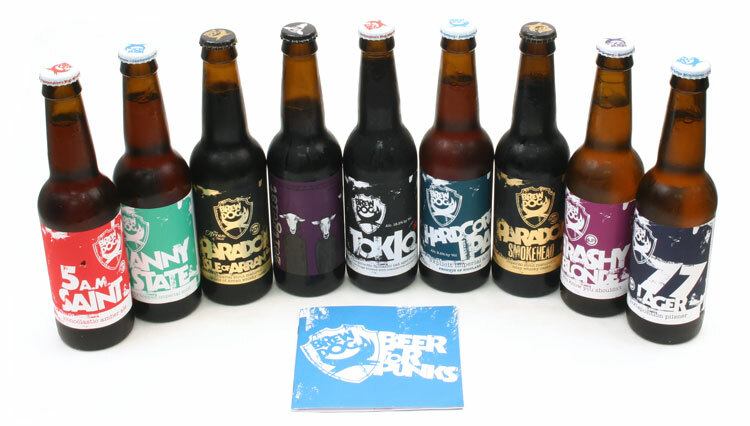 This entry was posted in Beer, Reviews and tagged 5 am saint, brewdog brewing, craft brewery, dirty blonde ale, pale ale, scottish beer by storiesbywilliams. Bookmark the permalink.